A screen door on my travel trailer broke. Can it be repaired without replacing the door and screen?? Its a Jayco 26 BH. A screen door on my travel trailer broke. Can it be repaired without replacing the door and screen?? Mechanic's Assistant: What is the make/model/year of your RV? Its a Jayco 26 BH. 2011. Mechanic's Assistant: Are you fixing your RV yourself? What have you tried so far? I just took a pic.....do you have a cell number that I can send it to? I will call you in just a few minutes. The site is trying to clear your payment for the phone chat. It may take a bit so please be patient. Yes, but I had to take another call. That looks like one that has the hinge as part of the door jamb. Is it? it is.I spoke with an RV mech the other day and he said he could weld it. If he could, I don't believe the weld would last because the hinge slightly bent at an odd angle. 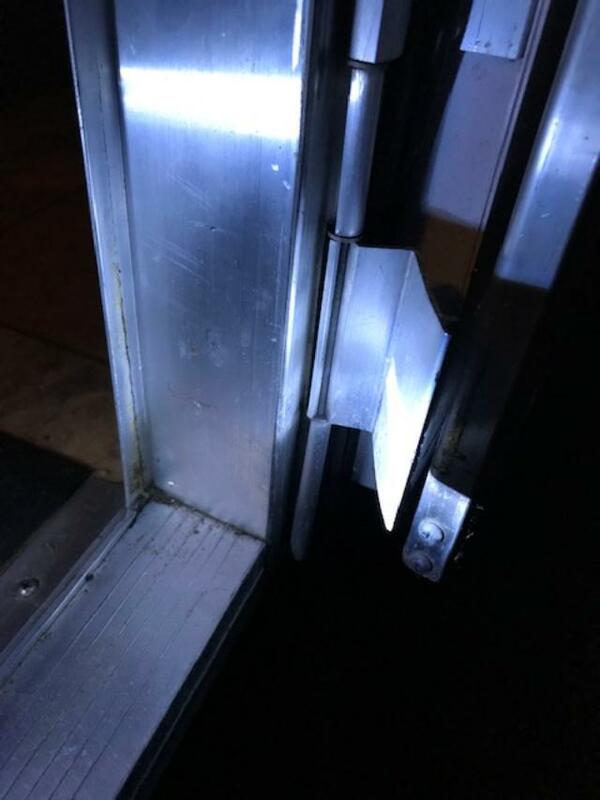 Then the easiest way to repair that will be to have the broken piece welded without taking the door out. A good welder can make that good as new. I would get a guy from a welding shop. if the welding doesn't hold the door will need to be removed?if the door were removed could a new hinge be put into the jamb? It will hold. All you need is the right person doing the work. I have one I use for my customers and he can repair anything. And yes, that would not be good as you would have a lot of extra work. You can't buy those hinge parts separately. okay, will do. Thanks for the help! You are most welcome! Have a good evening.